Steve Jobs prized secrecy from his executives and employees during his tenure at Apple. Now his top lieutenants are speaking out — to help shape the legacy of Steve Jobs. 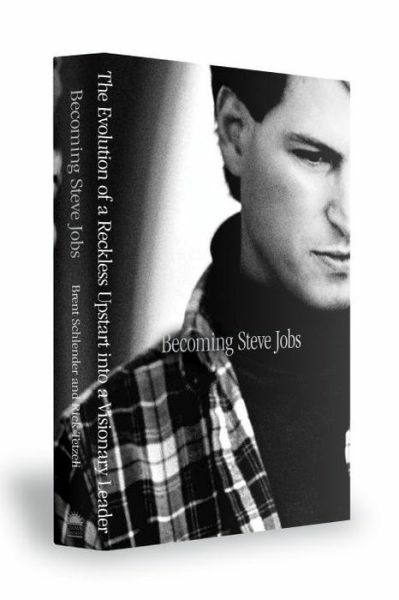 Through interviews and tweets, Apple brass, including the chief executive, Timothy D. Cook, are throwing their weight behind a new unauthorized biography of the Apple co-founder, “Becoming Steve Jobs,” which goes on sale on Tuesday. In the book, executives take aim at another title, “Steve Jobs” by Walter Isaacson, an authorized biography published shortly after Mr. Jobs’s death in 2011. “Becoming Steve Jobs” paints him as a caring mentor, as well as a delegator and skillful manager who brought the best out of his team. The book is an accurate, engaging retelling of the known history of Jobs’s life and career, but also contains a significant amount of new reporting. There are stories in this book that are going to be sensational. (I’ve promised to keep them to myself for now.) […] Becoming Steve Jobs is going to be an essential reference for decades to come. If Steve Jobs’s life were staged as an opera, it would be a tragedy in three acts. And the titles would go something like this: Act I–The Founding of Apple Computer and the Invention of the PC Industry; Act II–The Wilderness Years; and Act III– A Triumphant Return and Tragic Demise. But that second act–The Wilderness Years–would be altogether different in tone and spirit. In fact, the soul of this act would undermine its title, a convenient phrase journalists and biographers use to describe his 1985 to 1996 hiatus from Apple, as if the only meaningful times in Jobs’s life were those spent in Cupertino. In fact, this middle period was the most pivotal of his life. And perhaps the happiest. He finally settled down, married, and had a family. He learned the value of patience and the ability to feign it when he lost it. Most important, his work with the two companies he led during that time, NeXT and Pixar, turned him into the kind of man, and leader, who would spur Apple to unimaginable heights upon his return. I had covered Jobs for Fortune and The Wall Street Journal since 1985, but I didn’t come to fully appreciate the importance of these “lost” years until after his death last fall. Rummaging through the storage shed, I discovered some three dozen tapes holding recordings of extended interviews–some lasting as long as three hours–that I’d conducted with him periodically over the past 25 years. (Snippets are scattered throughout this story.) Many I had never replayed–a couple hadn’t even been transcribed before now. Some were interrupted by his kids bolting into the kitchen as we talked. During others, he would hit the pause button himself before saying something he feared might come back to bite him. Listening to them again with the benefit of hindsight, the ones that took place during that interregnum jump out as especially enlightening. Of the three companies Jobs helped create, Pixar was the purest corporate and organizational expression of his nature. If NeXT was a travail of spite and malice, Pixar was a labor of love. Even after he went back to Apple, there was nothing Jobs liked more than spending time at home. Not that he wasn’t a workaholic. We were iChat buddies for several years, so his name would pop up whenever he was working at his computer at home. Almost invariably, he was in front of his Mac until after midnight. We’d occasionally have a video chat, and if it took place early in the evening, I’d often see one of his children in the background looking on. […] In a way that had never been done before at a technology company–but that looked a lot like an animation studio bent on delivering one great movie a year–Jobs created the organizational strength to deliver one hit after another, each an extension of Apple’s position as the consumer’s digital hub, each as strong as its predecessor. If there’s anything that parallels Apple’s decade-long string of hits–iMac, PowerBook, iPod, iTunes, iPhone, iPad, to list just the blockbusters–it’s Pixar’s string of winners, including Toy Story, Monsters, Inc., Finding Nemo, The Incredibles, WALL-E, and Up. These insanely great products could have come only from insanely great companies, and that’s what Jobs had learned to build.